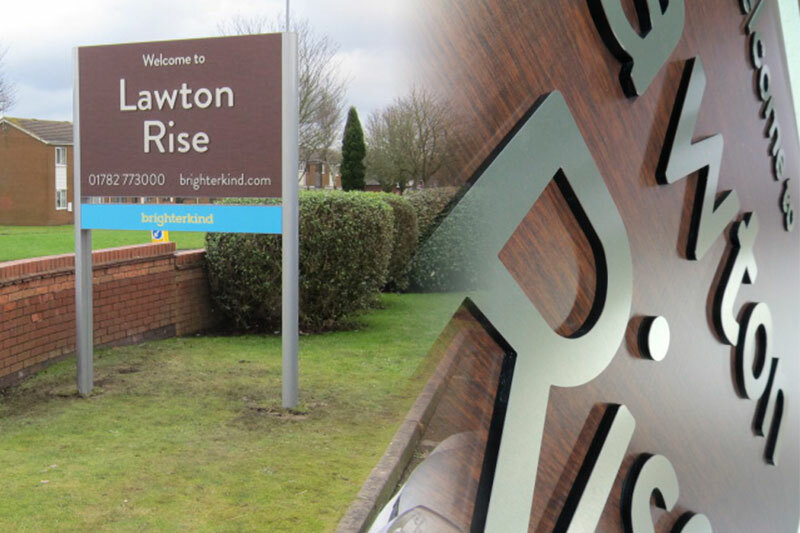 During the summer of 2014 Benson Signs were commissioned by Brighterkind Care Homes to design and manufacture a high quality sign branding package. 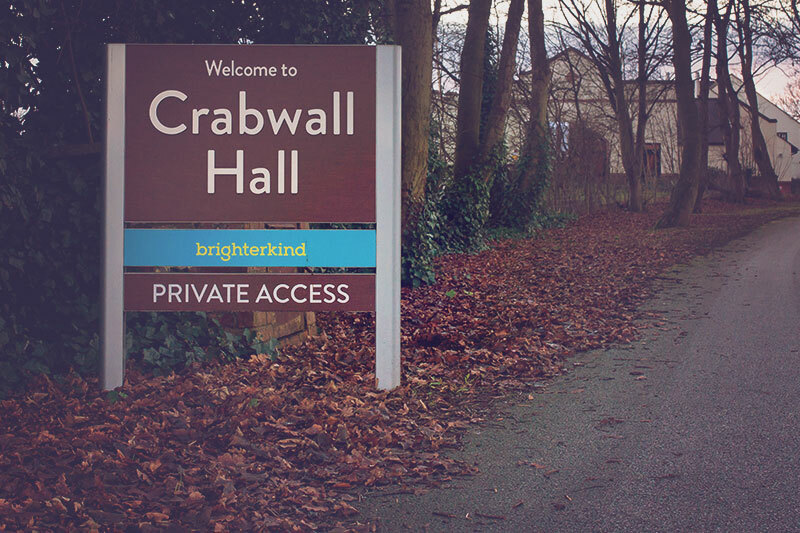 Brighterkind had recently refurbished more than seventy care homes throughout the UK and the Channel Islands and our brief was to create a product that would capture their character and warmth. Drawings were produced and revised, samples were made and re-made. What evolved was a confident design complemented by contemporary materials. The traditional wood grain effect is UV printed directly onto the panels. 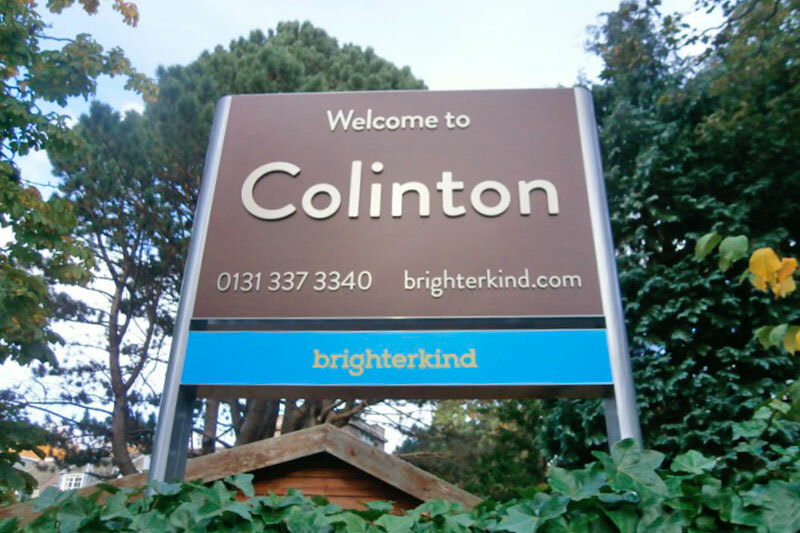 This is offset by the surrounding aluminium sign system, powder coated in silver then clear lacquered to give a warm lustre. 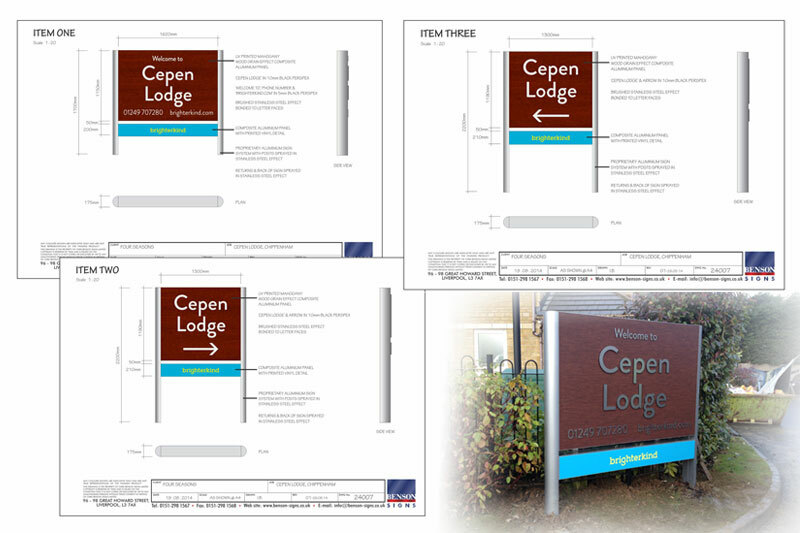 Lettering is cut from 10mm and 5mm thick acrylic with smaller flat cut stainless steel applied to the faces. Panels can be formed into trays to be wall mounted or can be set between two powder coated 'D' section posts and concreted into the ground. 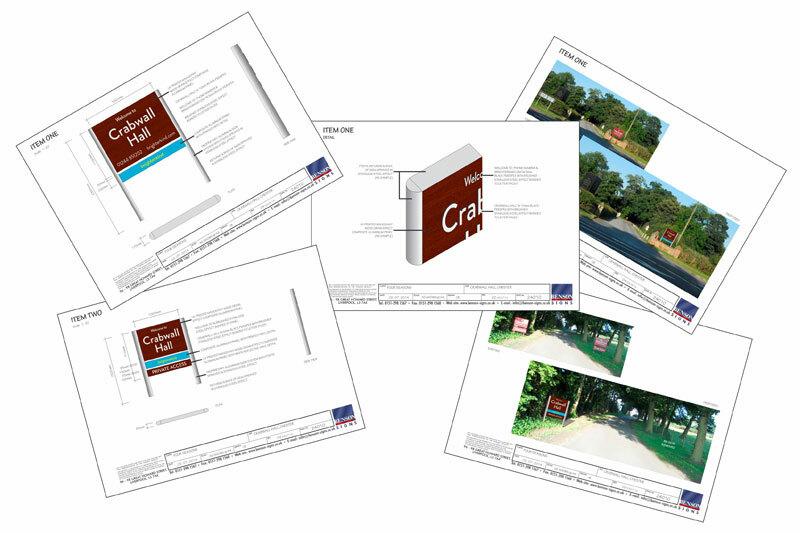 Most of our in-house facilities and disciplines were utilised, including studio graphics, large format UV printing, CNC routering, powder coating, assembly and, of course, installation. 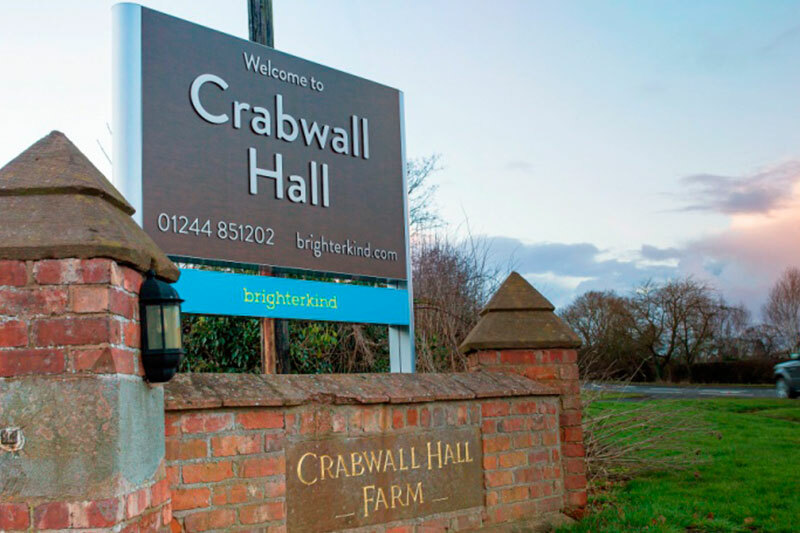 Another satisfying project for both Brighterkind and Benson Signs, delivered on budget and within the October 2015 deadline.